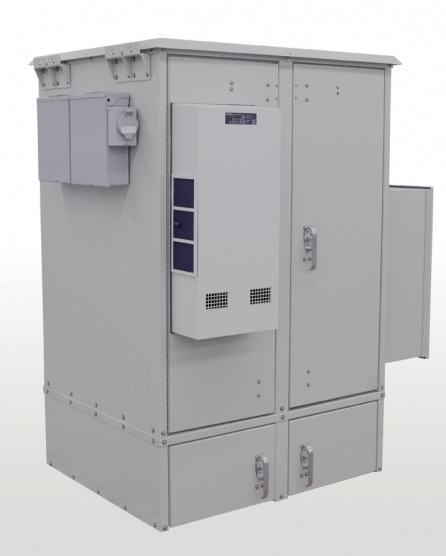 ﻿ OEM / Vertical Rack Mount Enclosure Manufacturer LTE, 4G, Wimax, Telecom, Security, Traffic, OSP Outdoor NEMA 3, 3R, 4, 4X Cabinet Enclosures. 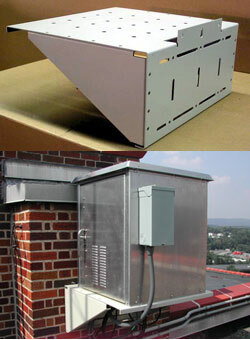 Nema Outdoor Wireless Racking Cabinet Enclosure for the 4G / LTE / OTN / Outside Plant (OSP) / CATV / Wireless Markets . 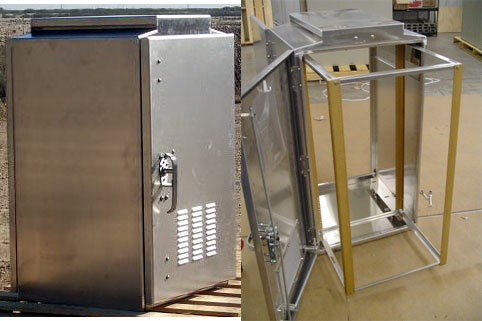 This is one of our top of the line Enclosure we manufacture and this assembly is one of the hottest selling assemblies that we sell. It comes with (2) sets 19″ EIA racking rails with 27RU of available vertical rack space. A 6000 BTU air conditioner for cooling with 400 watts of heat when needed; R3.3 closed cell foam insulation is included also. Above door fluorescent lighting is made available. Has a NO/NC door alarm switches for intrusion notification. 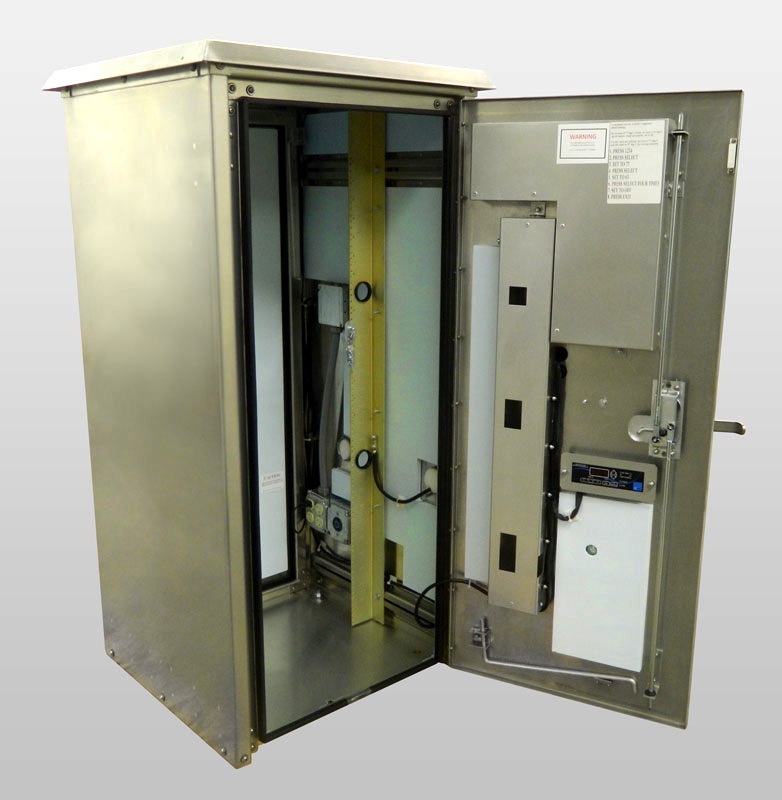 A spool-up side box for fiber or cable spooling is included with a copper ground bar on insulators inside the spool-up box. 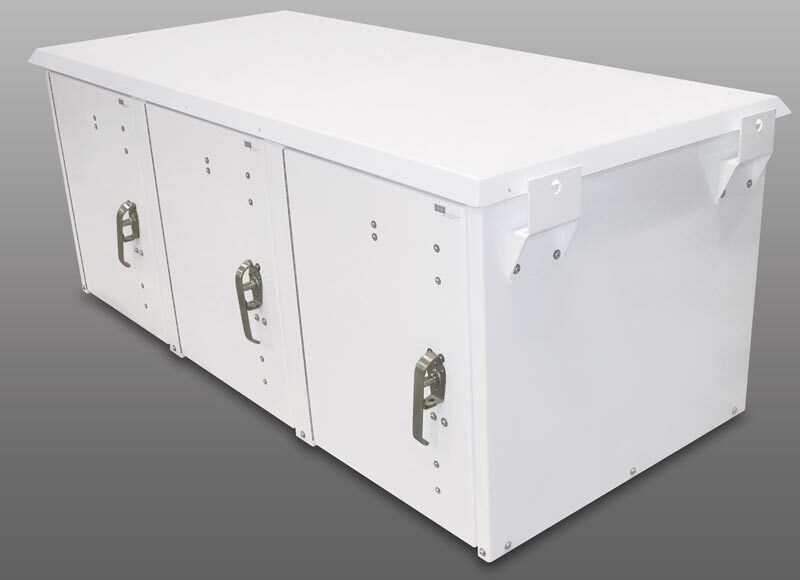 A separate battery compartment below the equipment space is available for all your battery applications and more. 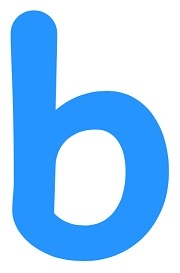 It is ETL certified.